India’s top court on Friday refused to accept the two pleas filed by mining baron Gali Janardhan Reddy. The former minister has sought permission from the Supreme Court to campaign in Bellari region and cast his vote in the upcoming assembly elections in Karnataka. Notably, the BJP chief ministerial candidate had asserted that Reddy will help the party to win 15 seats in 3 districts. Karnataka is set to go to the polls on May 12 while counting is scheduled for May 15. File photo of mining baron and former minister G Janardhana Reddy. 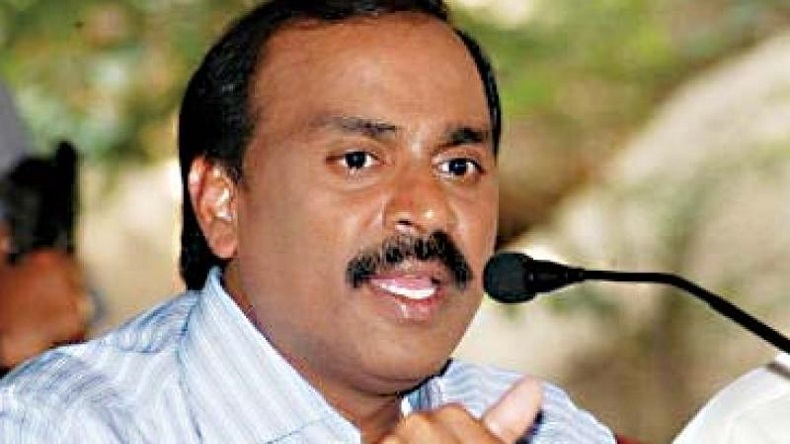 In a fresh turn of events, the Supreme Court today rejected a plea by mining baron Gali Janardhan Reddy, who had asked for a permission to go to Bellari to campaign for the upcoming Assembly Elections in the in Karnataka. Notably, his brother named Somasekhar Reddy who got the ticket from the BJP will contest the polls from the region. The judicature also dismissed the petition of letting Janardhan cast his vote. Moreover, Somashekhara’s elder brother and former Ballari Lok Sabha member G Karunakara Reddy is also a BJP candidate in Davanagere district of Harappanahalli . Reportedly, bench of Justices AK Sikri and Ashok Bhushan was hearing the matter. As reported earlier by the media, the BJP’s decision to give assembly election tickets to the 8 members of tainted former minister G Janardhan Reddy’s family and inner circle has been widely criticised by some of its party members and the opposition. A report suggests that this move by the BJP chief Amit Shah has caused consternation among party leaders, workers and supporters. Supporting the contention of his party, Yeddyurappa had earlier stated that he had forgiven Janardhan Reddy, and will welcome him to campaign for the party. He had further speculated that Reddy will help the party to win as many as 15 seats in 3 districts. Party President Shah too had earlier clarified that the BJP had nothing to do with Reddy brothers. Notably, Janardhana Reddy was made a minister in the BS Yeddyurappa government after the BJP won the Assembly elections in Karnataka in the year 2008. Three years later, the Central Bureau of Investigation arrested him on charges of illegal mining. He was again arrested in the year 2015 and granted bail immediately. Karnataka is set to go to the polls on May 12 while counting is scheduled for May 15.